When creating a mobile website there are many different ways your can go about the design since responsive web design technology has come about. Depending if you build mobile first or desktop down, navigation is one of the most important UX and UI considerations in a website. Even more so when creating a responsive website. The simply question is, how do I fit a navigation into a mobile ? There are many many different ways to conquer this and it depends entirely on the UX you want to give and simply, how large your navigation is. In this article we have displayed the mobile website and if the mobile website uses a button to open the navigation, we have shown the open state. 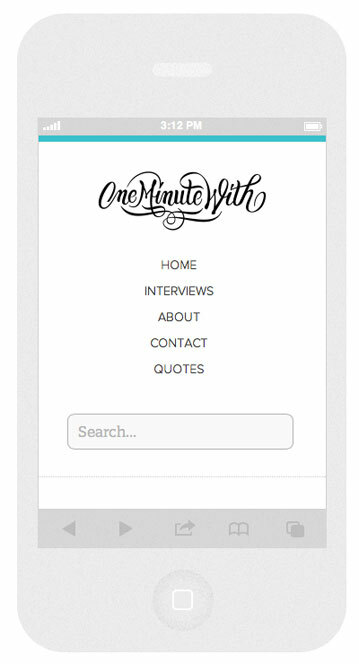 Take a look through our very best responsive mobile navigation examples. We hope that inspired you to do something different next time you design a mobile website or even a responsive website. Also check out The Responsinator at other website you may have found and see how they work. Or check other mobile examples in our web design inspiration gallery.